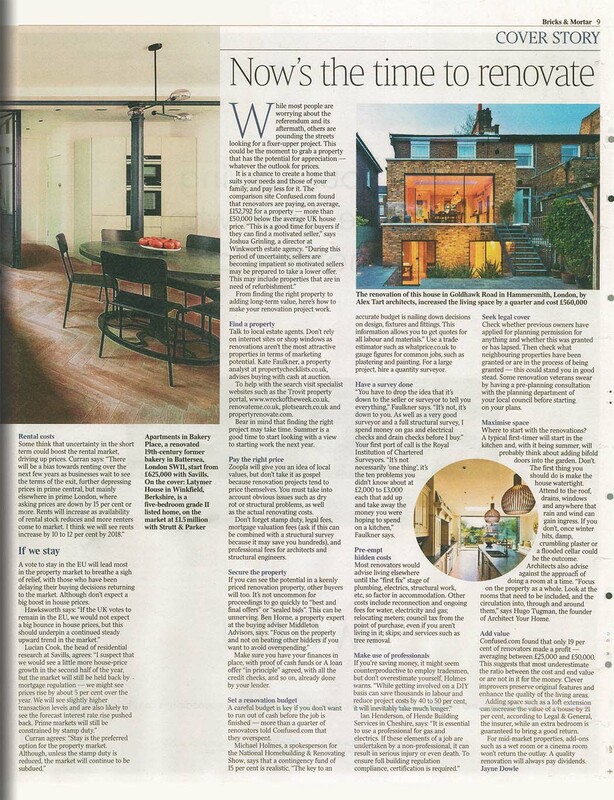 Alex Tart Architects are delighted to announce we have had our refurbishment and extension project in Hammersmith featured in ‘The Times’ Bricks and Mortar section. Our project was specifically selected to demonstrate the value that extending and refurbishing your home can have. ‘The Times’ recommends renovating and extending your existing home to add value and cater to your changing personal needs rather than moving.